Mancon provides an extensive array of business and industrial supplies to customers throughout Hampton Roads, Richmond, and northeastern North Carolina. In addition, Mancon delivers anywhere in the US to customers who shop online. Whether it’s packaging products, office furniture or business supplies, janitorial equipment or supplies, or specialty promotional items, Mancon delivers what they need, when they need it, each and every time. 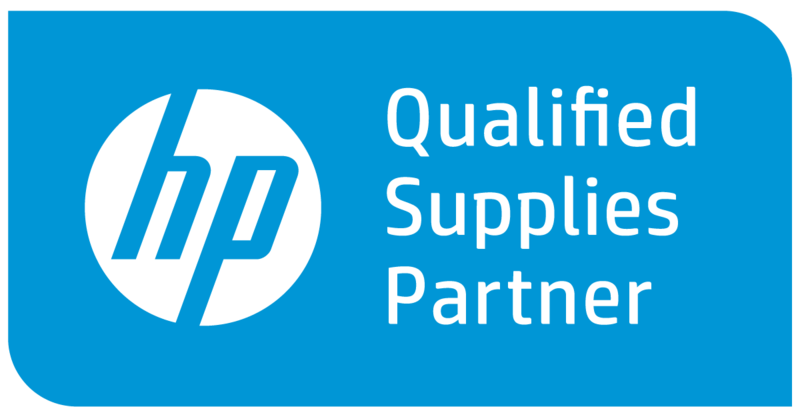 Mancon is proud to be a HP US Qualified Supplies Partner. Click the medallion for a list of HP products we provide. Make your break room green! With Energy Star equipment and eco-friendly paper products, you can make a difference all year! Mancon’s value to our customers goes well beyond the sale of packaging supplies and other business products. Our dedicated team of inside and outside sales representatives works diligently to earn loyalty and trust by listening and anticipating so we always have the right supplies on hand when the customer calls. When you succeed, we succeed. It’s that simple. There are several ways our customers can place orders. They can shop online, fax orders to 757-457-9338, call 757-460-0879, or request to have one of our sales professionals visit. We are staffed and ready to demonstrate why so many businesses make Mancon their supplier of choice.